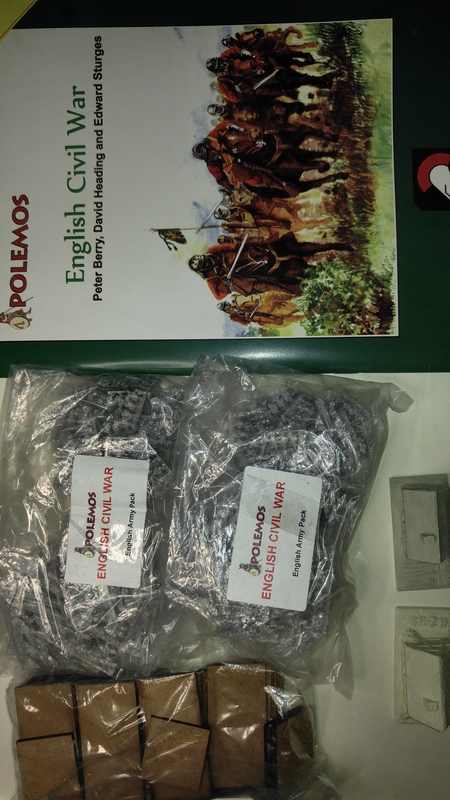 I had purchased some figures from Ros and Heroics to make up a Polish Army circa 1975 to use with the Cold War Commander wargame rules. I ordered artillery but neglected to order artillery crews. While I was not planning on buying figures this year except, for the few ships I bought for my Christmas present, I had to purchase artillery crew. Well it would be rude to just order artillery crew so I decided to do what any self-respecting western government do, and that is to upgrade my armed forces. I ordered my artillery crew and then ordered some T-72M to upgrade the Poles from 1970 to 1990 standards. 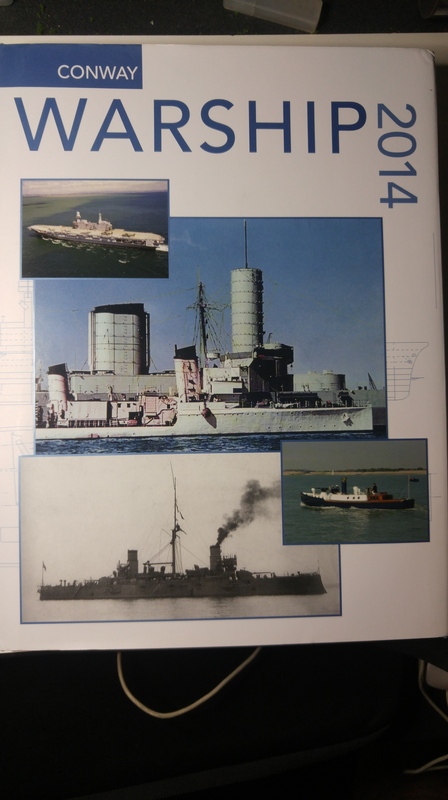 Of course this would mean that the Danes (pictured on the left) needed to have some additional firepower as well to have a chance against the Poles. I therefore ordered 12 Leopard 1s to even things up again. 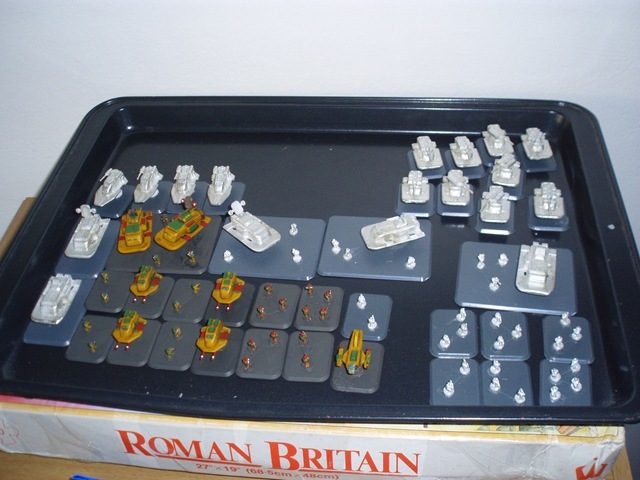 I can now bring both armies up to 1990 standards from about circa 1970. This is now the first painting project for 2018 – to finished both armies. I am looking forward to this painting, but the first steps for the Poles will be to get them on bases, then add some sand to the bases. undercoat, probably in dark brown, then crack on with the painting. 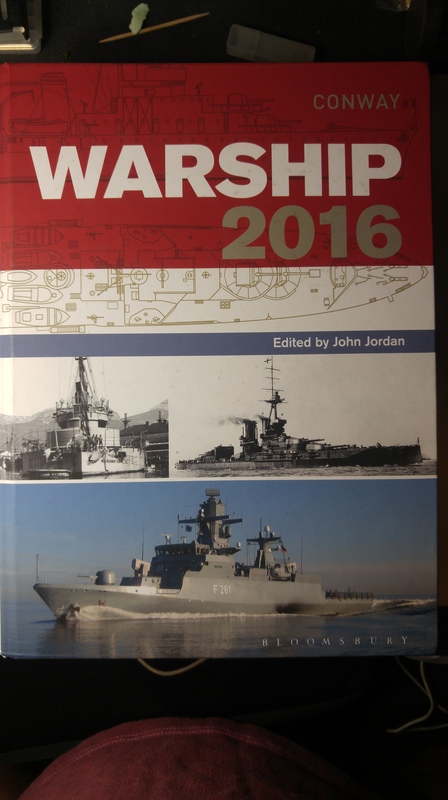 Of course, a wargamer does not need an excuse to purchase more figures, I mentioned I have an order for some ships on the way to Manila from Navwar. It occurs to me as well that the ZSU-57-2 was replaced in Polish service with the ZSU-23-4 “Shilka” in this period so there will need to be an additional order soon. 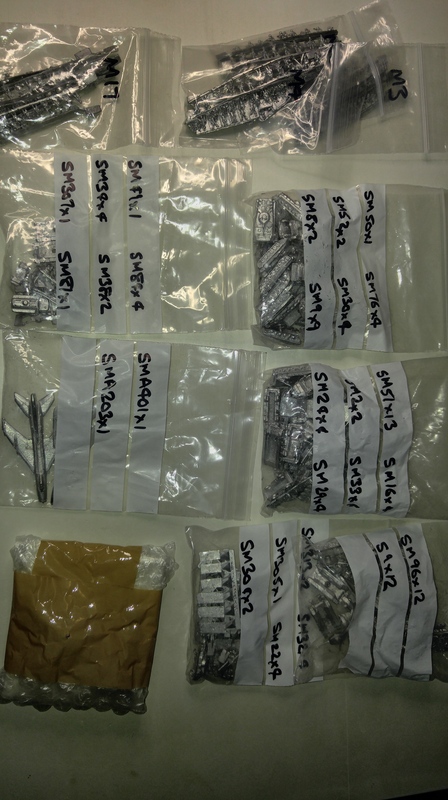 The Wargamer’s Dilemma – buying more lead means painting more lead and researching more troop types which leads to buying more lead! Actually, here in Makati City, he rarely rings. It takes about a week for a parcel to arrive in the Philippines from England. It then takes another week for the parcel to travel a few kilometres from the main Post Office to Makati Central Post Office. It then takes between two weeks and a month or two for the notice of arrive to travel the one kilometre from Makati Post Office to the condominium or the office. Still, it is great when the notices arrive and you can step back into 1954 to collect the parcels from the Post Office. Box number one (large, top right) contained some goodies from Brigade Models of the UK . 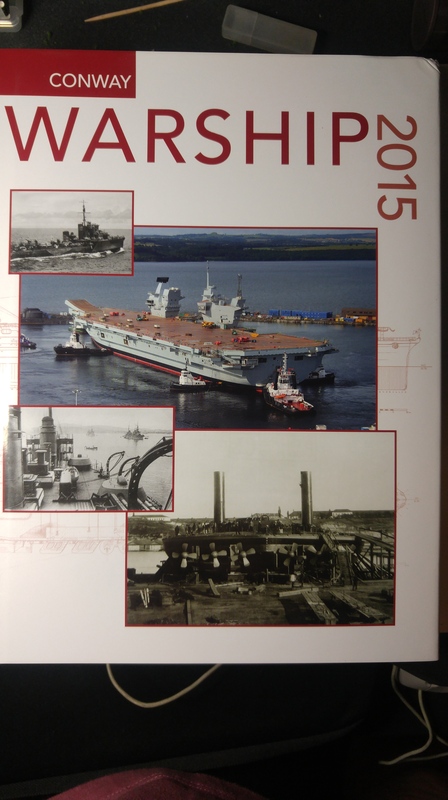 The box contained Aeronefs and Cold War Commander Indonesians in 6mm. 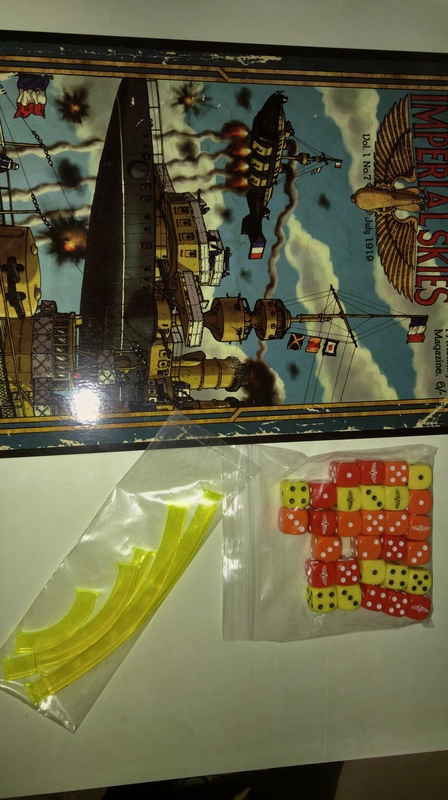 The Aeronefs the Spanish Fleet Pack #2, Item #: VANFP-1702; Spanish Fleet Pack #1, Item #: VANFP-1701; Spanish Torpedo Flotilla, Item #: VANFP-1711; Indonesian Army Group, Item #: IC-1401; and some bits and pieces. I am trying to clear my painting queue now to get into both these sets. The Spanish ‘nefs in particular are sweet. In the small flat box to the bottom right is a Belgian World War 2 army from Scotia Grendel. I built these from the Blitzkreig Commander III lists before noticing some basic problems with that list, like the missing 75mm guns! Anyway, there is some nice stuff in there and I can always find an excuse to send off for some more figures from Scotia, and order the missing 75mms then. The white parcel contained reinforcements from Magister Militum for the little coastal project, namely some more Germans, a few more British and the Italians. The Motoscafo Armato Silurante, (MAS boats), were a class of fast torpedo armed vessel used by the Regia Marina and the models from Hallmark are sweet. More competition for the painting queue. 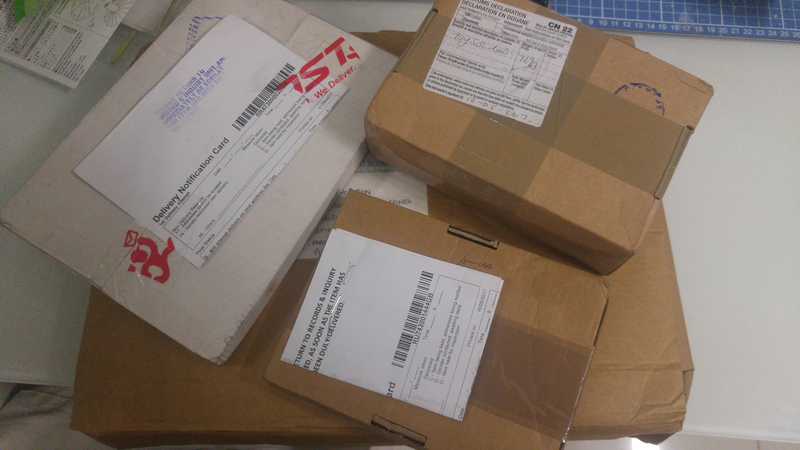 Lastly, the big box underneath contains three books for review. These will be coming up soon. Way back last year I painted some figures for Future War Commander – PacFed Forces. I’ve played a few games with them. Recently I decided to expand the forces to include spaceships. Brigade Models were holding their annual summer sale and had recently released a PacFed space force for Starmada or Full Thrust rules. This meant the purchase of a lot of ships for not such a great price. The problem I have been wrestling with concerns the colours to paint them. I wanted to continue the Aussie Cricket Team colours started with the Future War Commander vessels – basically, green and gold (all right, yellow). But I kept thinking “spaceships, there should be something more”. Metals came to mind along with ceramics. Then it occurred to me, “gold”! I wasn’t sure how to handle the gold though so at lunch time today I took myself off to the Games Workshop Bunker in Clarence Street to have a chat with the friendly staff and a look at the Shining and Burnished Gold colours available in their paint range. OK, so the reason I am writing this post is to make sure I don’t forget the alchemy. For the green there were a couple of suggestions. One was to paint the green areas with Mithril Silver and keep applying successive washes of Thraka Green Wash until the whole green area took on a green hue. A second idea was to mix 2 parts Mithril Silver with 1 part Goblin (or Snot) Green and see how that looks. A green wash may still be necessary after that and use one of the lighter greens for a highlight. Lots of good ideas to try. I will, of course, post a blow-by-blow description of how the painting went when I try it. And thanks to the GW staff in Sydney – good ideas (and I will be back when I do the next batch of Victorian Science Fiction to look at the bronze/green mix). 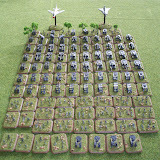 I mentioned before that I would get around to photographing my modern Danish Army for Cold War Commander. Well, I got around to it. The army is shown below. This army is almost totally made up from Heroics and Ros figures, with the exception of the F100 Super Sabre which was from Raiden Miniatures of the UK. It’s just got longer. I think I mentioned before that I occasionally paint for other wargamers and usually only those things that I enjoy painting, like ships. 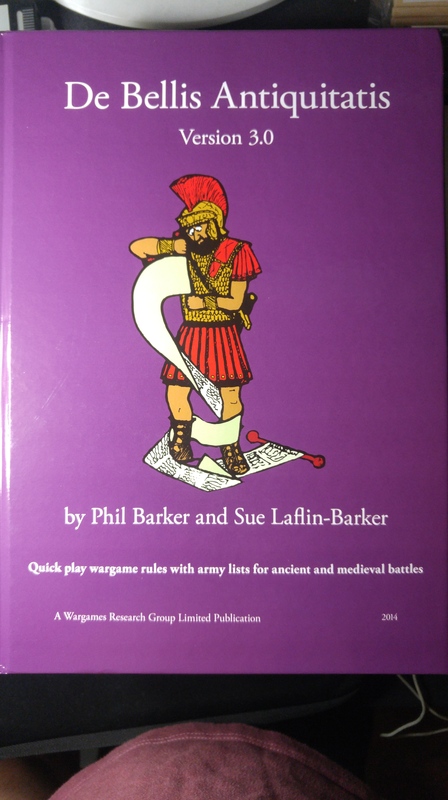 Recently as well I have taken to the Blitzkrieg, Cold War and Future War Commander wargame rules from Specialist Military Publishing Ltd with some relish. You may also recall me mentioning my Modern (well, 1980 anyway) Danish Wargame Army in 6mm for Cold War Commander (CWC) before. That’s almost complete now – I have another 12 bases of those to do. On the painting table at the moment (and pictured throughout this blog post) is the Future War Commander (FWC) army that I’m building to do battle with the evil minions of Doug in Canberra! These are the PacFed (Pacific Federation) forces supplied from Brigade Models in the UK. These represent the forces of good and niceness from Australia and the Pacific sometime in the future. Facing them will be the evil SAC (South African Confederation) forces of Doug’s. The painting of PacFed is going well. There are 70 bases in this force which total to about 6,000 points in FWC game terms. The two pictures above show the forces as they are and their state of painting at the moment. So, how does this affect the paint queue – obviously these are being painted? Lee’s Vikings in 15mm. 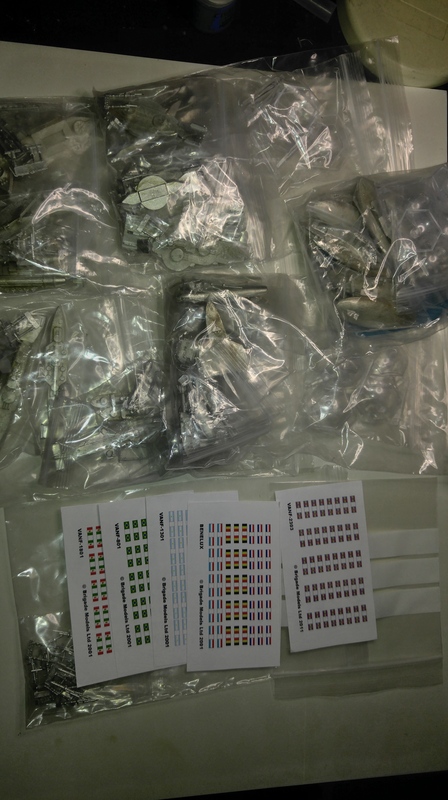 Lee sent me just over 300 Vikings to paint as well – the figures are from Two Dragons Miniatures and are in the Roman Britain jigsaw puzzle box in the photo above. I haven’t painted 15mm commercially before so this will be a kind of test case – although I can’t see myself taking many 15mm figure commissions in the future. Finally, to get an idea of how the the PacFed will look when the painting and basing is finished, to the left as a fully complete element. The colours for the Pacfed came from the Australian Cricket Team’s old One Day uniform which I thought gave a nice, futuristic science fiction appearance and appeal to the army. When it is fully painted I’ll photograph the entire army in one shot. Now, where did I put the brushes? In the meantime, I have been finishing off phase 1 of the 1/300th scale (6mm) Modern NATO Danes. 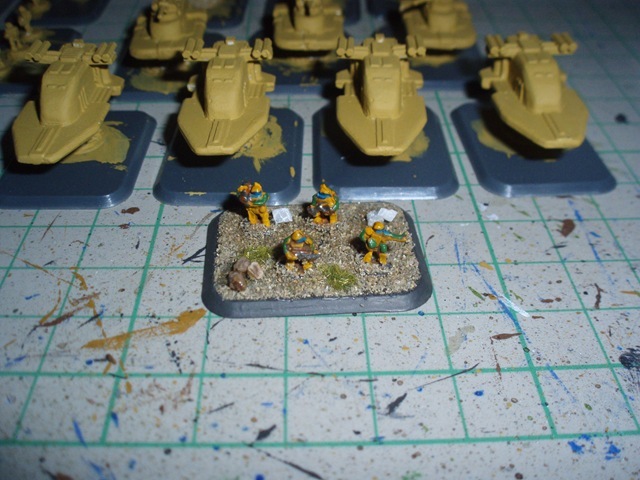 These are built for the Cold War Commander wargame rules, a game I have been playing a lot of recently. The Phase 1 aircraft (a Draken and a Super Sabre) were finished today. 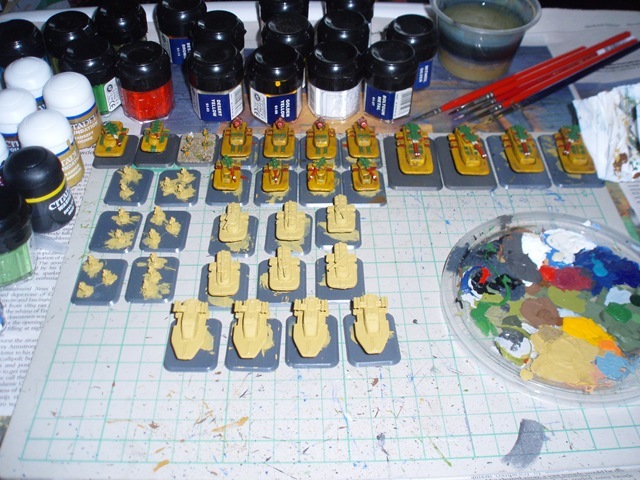 The phase 2 aircraft (Phantom) will be painted when I finish the extra forces purchased for this Battlegroup. Somewhere in the air are the remaining painting projects for the next few months. 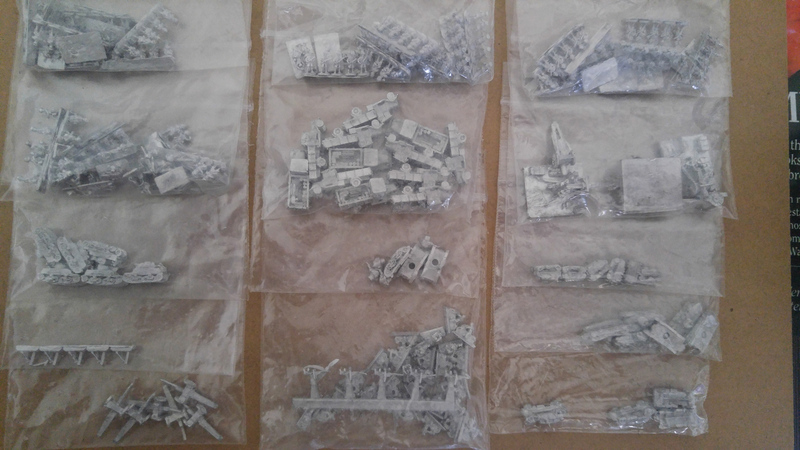 On the way is a PacFed Future War Commander army in 6mm, an early North African Italian World War 2 army in 1/300th (6mm) as well as a Russian Aeronef fleet for the Peshawar Victorian Science Fiction campaign. I also need to do some more writing for Peshawar. I hope to get to that in the last week of January as I have a few days holiday where I hope to sit on a beach, play some golf and catch up on some reading and writing. More on that later too. And now, time to spray varnish the aircraft (this is always the nervous part of the painting process for me as I wonder whether the varnish will discolour the paint job).